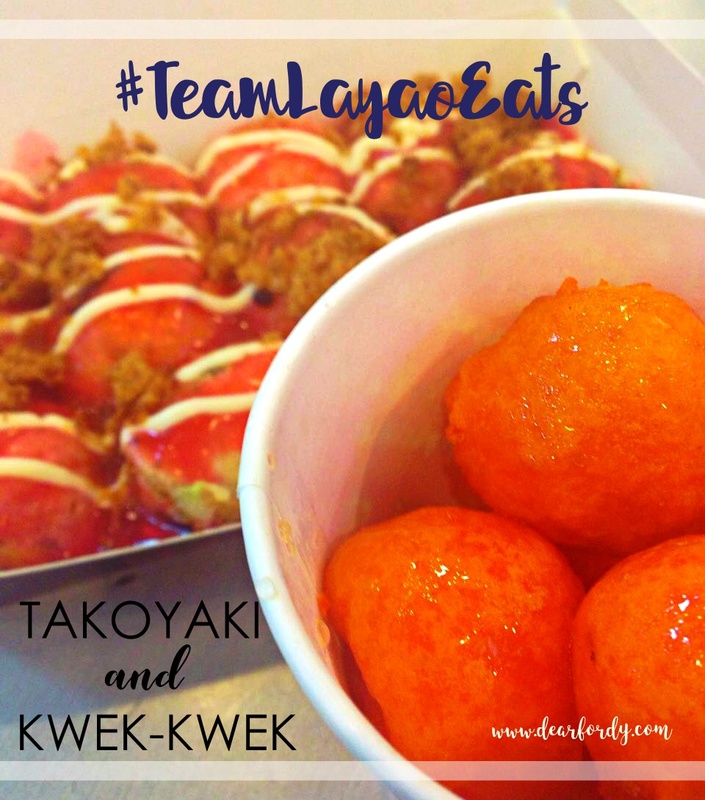 #TeamLayaoEats: Let's Tusok the Fishballs! Anyone who knows me will say, "Food is Apple. Apple is food." We are synonyms haha! I am not a picky eater and I am not the type who always eat gourmet. 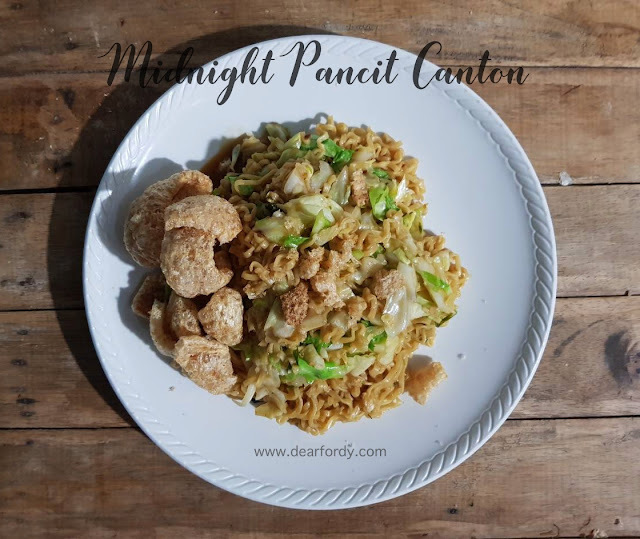 I prefer home cooked meals, carinderia or turo-turo meals, and street food! Who doesn't love street food, baby? I grew up eating street food. Fish balls, squidballs, kikiam, kwek-kwek, tokneneng, isaw, betamax, baticolon, one-day old, name it, I have eaten it! After school, the first thing we look for was the rolling cart selling fish balls. I love how it pop so big while in the hot oil only to flatten as soon as it hits the spicy vinegar haha! 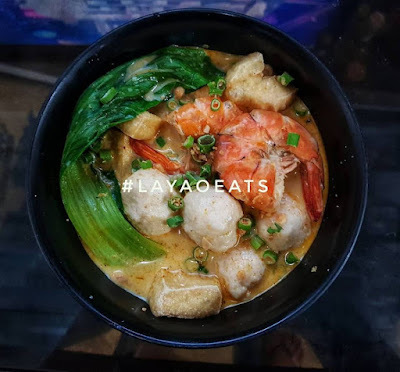 When I had my first job in Ayala, Makati, we would always wait for Manong Squidballs peddling along Valero St. Four pieces of squidballs at Php10 was enough to give me energy on my way home. Did you know, Fordy, that I used to sell ihaw-ihaw when I was pregnant with your Kuya Karlo? It was fun, believe me. I was once an entrepreneur haha! 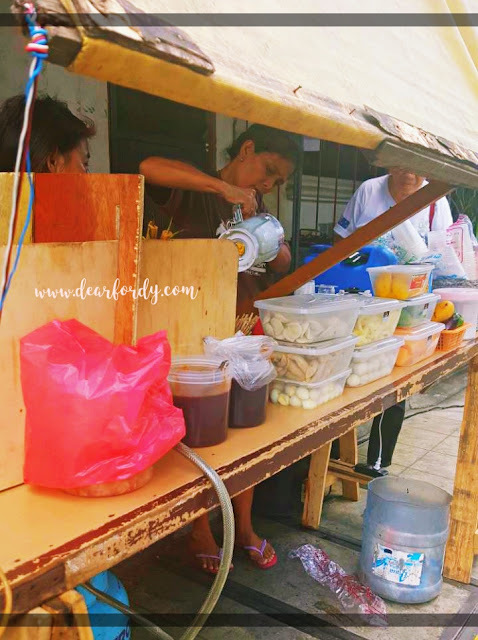 This is Ate fishball in front of St. Clare Medical Center in Dian. Today, I can no longer eat ihaw-ihaw. My urologist forbid me because it is high in uric acid and I cannot have high uric acid! My current favorite is kwek-kwek and takoyaki. Takoyaki is not the usual street food you can see here. It is sold in kiosks in malls. Takoyaki is a popular street food in Japan made from dried octopus and minced vegetables. It is topped with takoyaki sauce and mayonaisse and sprinkled with green laver and shavings of fish, pork or beef. I don't know why I panic at the sight of kwek-kwek and takoyaki kiosks but I just have to queue and buy a minimum of 2 orders haha! Believe me, Fordy, I can eat a dozen in one sitting. 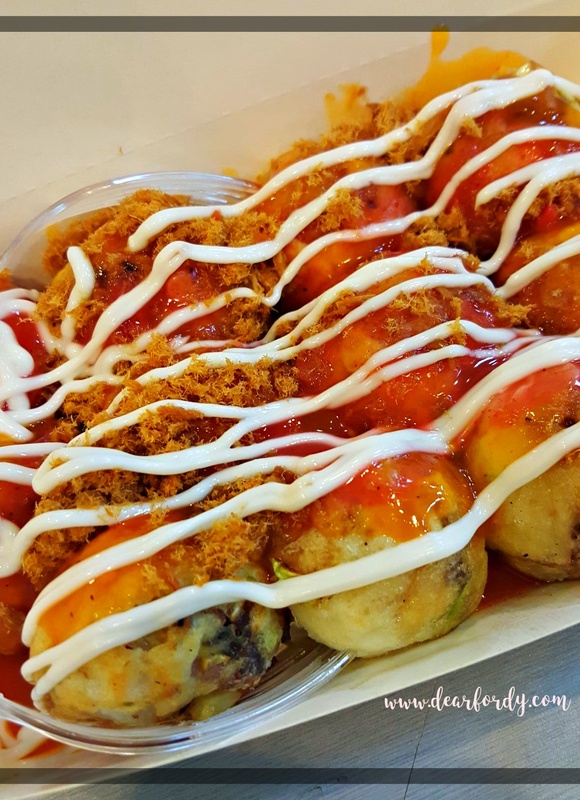 This takoyaki that I buy in Market! Market! barely has octopus, it is 99% cabbage but I love it! It must be the veggie lover in me. Haaay, Fordy. You missed these. I can imagine you eating fishballs with the sauce dripping all over your face. 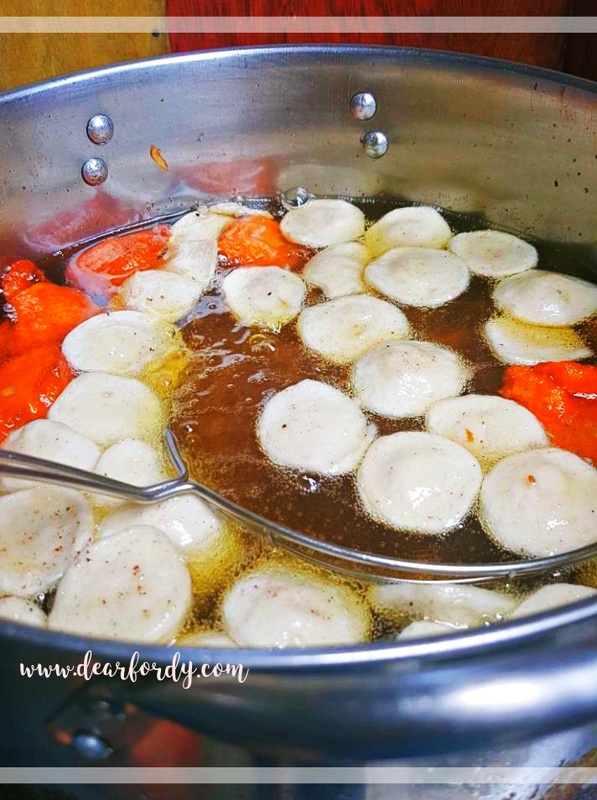 Fishballs are part of every kids memories and I hope you had that. Are there fishballs in heaven, baby? Do they allow you to dip them in the sauce bottle twice? The manong here only allows one time dip. Hmp. Now I am hungry again. 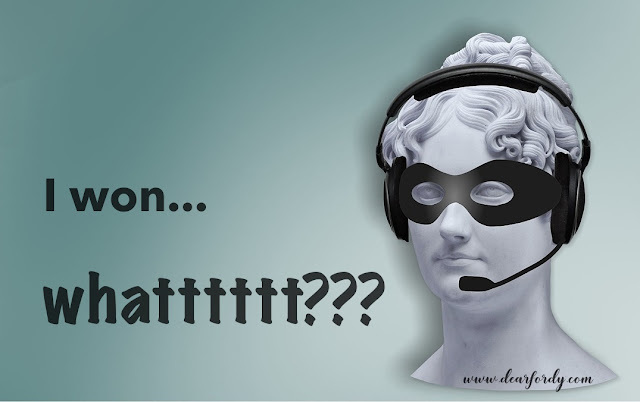 Talk to you later, bubut!